Fifteenth Annual Product Warranty Report: All the metrics are down this year, including product sales. Some companies continue to cut their warranty expenses by huge amounts, producing better products with lower failure rates. But others are getting better at shifting more of their warranty expenses back onto their suppliers. ServiceBench Signs Cross Country: While the appliance service contract and home warranty businesses have remained separate and distinct, the products they protect are frequently the same. Now, the crossover between the two is increasing, with home warranty companies linking to the network used by many service contract administrators, and retailers selling home warranties in their stores. New Home Warranty Report: With products such as single-family homes, it's possible to measure warranty accruals not only per dollar of revenue, but also per unit sold. And then it becomes clear which companies have mastered their warranty cost estimation process and which are still making it up as they go along. Semiconductor Industry Warranty Report: While the companies making semiconductors and printed circuit boards have kept their warranty expenses below one percent of revenue, the companies that make the machinery that actually manufactures the products pay much more. Even so, over the past decade the machinery makers have been much more successful at cutting their warranty expenses than their customers. Semiconductor Warranty Report: Unlike in most industries, with integrated circuits the production machinery generates most of the warranty cost while the actual products made by those machines generate less. However, the machinery makers have done a much better job of reducing their warranty expenses over the past decade. 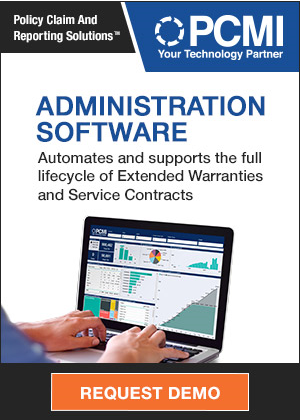 Computer Warranty Report: In terms of streamlining the warranty process so it can be as efficient as possible while making more reliable products, computer manufacturers and their suppliers are doing a great job. But at the same time, they went from spending the least on warranty in 2009 to the most ever in 2012. How can both statements be true? Totals & Averages: The automotive manufacturers are cutting their warranty expenses while the computer makers are seeing higher costs. But put them together, and they're paying the smallest percentage of their revenue ever for warranty work on their products. 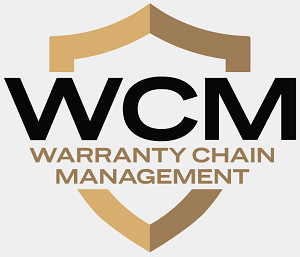 Warranty Keynotes: The typical warranty manager is going to transform from a data processor into a data communicator, according to the predictions of the keynote speakers at next month's WCM Conference. They're going to become the eyes and ears of the corporation, advising other departments how their products are being used and what's causing them to break. How to Buy Extended Warranties: Step One: Read the contract. Research the terms and conditions of the service contract while you compare the prices and features of the products themselves. Then use your common sense and Google to decide if the extended warranty offer is a deal worth adding, or if you should shop elsewhere. Medical & Scientific Equipment Warranties: Though warranty costs have remained within a tight range for eight years, there's a definite seasonal pattern to the data that's tied into the school calendar. And though these equipment makers typically spend a small percentage of sales on warranty costs, some products have much higher averages. Design for Warranty: Products can be designed so that not only can they be fixed faster, but also so they can be fixed by customers themselves. Given that labor is the major component of warranty claims, product designs that plan for customer self-repairs can cut costs. Warranty Experts: It's one thing to hear software salesmen talk about the benefits of their products. It's something else when that company's own customers stand up and say how happy they are, despite the challenges they had to overcome. And when warranty professionals gather next month in Orlando, multiple warranty experts from major manufacturing companies will do just that. HVAC, Appliance & Building Material Warranties: Since so many manufacturers straddle the plumbing, appliance, and HVAC industries, we're profiling them together. But warranty occurs at very different rates for each product type. And some of the most expensive products from a warranty point of view seem to be small kitchen and personal grooming appliances. High-Tech Warranties: Designing products that can be fixed easily or replaced quickly will reduce warranty expenses. What's required, though, isn't so much better software as better teamwork and planning. Meanwhile, a hunt for patterns and anomalies also works for fraud detection. Aftermarket Financial Products: Auto dealers who reinsure their vehicle service contracts are pleased by a recent IRS ruling. Setting Warranty Policy for Products That Generate Annuity Streams: Most warranty-management analysis concerns warranty as cost, the effect of warranty on customer satisfaction, or the signaling impact of warranty on customers. This article describes a study where the focus was not on the product under warranty, but rather on the effect that warranty length might have on the sales of related peripherals and supplies. These sales generate annuity streams for the manufacturer as long as the product remains in operation. However, cost savings from a shorter warranty period must be weighed against potential lost profit from reduced annuity streams. A shorter warranty policy might cause products to drop out of active use sooner, and the cost savings from a shorter warranty policy therefore might be outweighed by the lost annuity profits. Warranty by Industry: While automotive warranties continue to account for half of all claims, a diverse mix of other industries makes up the balance, from air conditioning to airplanes. Manufacturers grouped by the types of products they make exhibited distinct personalities during the past year.